Place St. Boniface apartments located on 302 Goulet Street and in the Heart of St. Boniface. The St. Boniface Community is truly reflective of its French Heritage and one of the largest francophone communities in Manitoba. Just minutes away from The Forks Market, you can also enjoy strolling along the le boulevard Provencher and visit their unique local boutiques, restaurants, and cafés down the street. Place St. Boniface apartments is a newly renovated apartment complex that features beautifully renovated and updated suites with a beautiful kitchen and bathroom with modern designer finishes, kitchen back-splash, stainless steel appliances including dishwasher, refinished hardwood flooring throughout, energy efficient windows and blinds, modern ceiling fan and air conditioning unit. 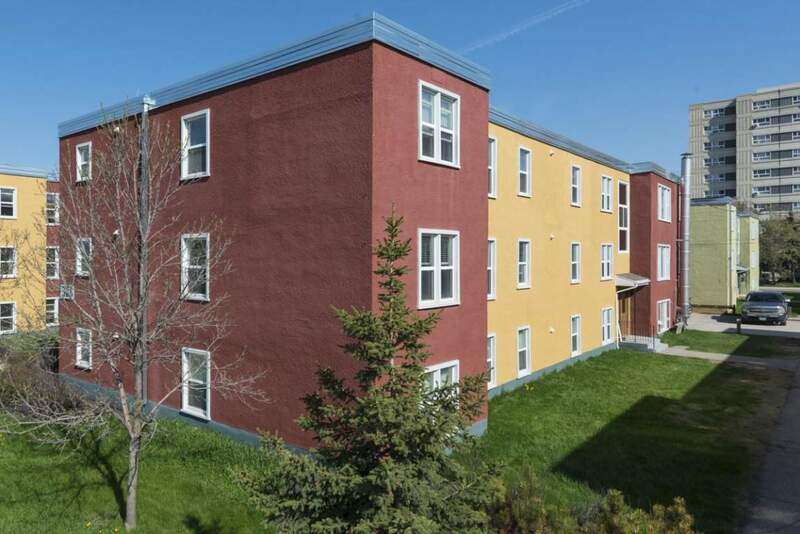 There is a secure entrance, on-site laundry facility and parking stalls available. A great place to call home with convenience, affordability and modern charm. This apartment building is a cat and a small dog-friendly building.